One of the leading causes of seasonal allergies that afflict many households is pollen. When pollen is prevalent in the air you breathe, your family can experience eyes, nose, lungs, and skin irritation. To help you and your family stop pollen allergies before they start, Rocky Mountain Air Purifiers® has created the Summit home air purifier. With seven (7) stages of air purification, each unit is perfectly suited to eliminate 99.99% of pollen, and other allergens, from the air in your home or office. Whether or not the suffering you experience is due to flowers, pine, grass, oak, or ragweed present outside, the Summit air cleaner will make sure the air inside your home is fresh and clean. There is simply no reason to continue living with itchy eyes and a runny nose anymore. 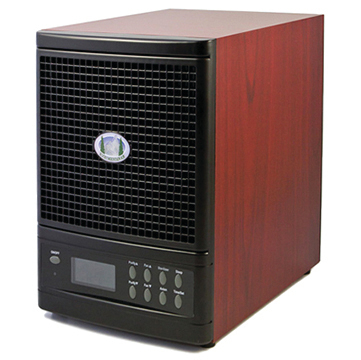 You will be amazed to discover the difference our best-in-class air purification can make. So, prepare for the pollen season by owning the ultimate anti-pollen air purifier that will make the air in your home Rocky Mountain Pure! The Summit air purifier for pollen provides relief from seasonal allergies by removing pollen from the air you breathe. Watch our videos and see for yourself how our air purifiers help people who suffer from pollen related allergies.